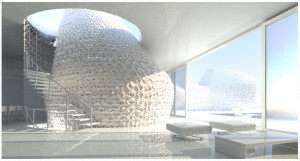 Living (Hyper-Tech) Organically—The Race To Build 3D Printed Habitations Continues To Accelerate! 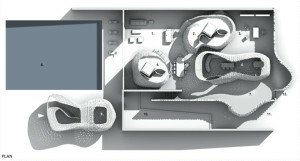 “3D Printed House 1.0″-Perspective: by American design-firm Emerging Objects Corp. of Oakland, CA. Alas, “house” is a word too rectilinear. It doesn’t bespeak the bespoke. The “house’s” paucity of flex in design makes it staid and sterile—and strait-jacketing. Could it be the straight-laced containers — in which we’ve been forced to live since our loss of the cave, the wigwam and the yurt — are insanity conducive? Inamicable to human customized shapes and organic forms and fluid life-regimens that complement the human body—a supple and shape-shifting object without a single, physical, straight line. Our first habitat—the womb—is ovoid: an infinite curve to egg on our analog desires. After that sinuous beginning, “straight” is the inorganic shortcut between to points with no algorithm for the beauty of meander. Until habitation-scaled 3D printing, the escape from angled joins to amoebic continuities was impossible with commercial ROI. The innovative Emerging Objects “house” in Beijing—“3D Printed House 1.0”— is a hybrid concept: in several creative senses of the phrase. First, it’s both right-angled and organically curved. 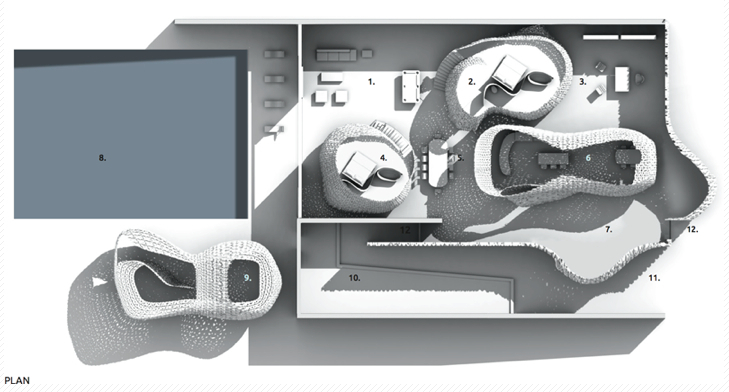 The house plan could be seen as a group of gourds embedded in—and erupting out of—rectilinear slabs and planes. Second, the building process engages both local workers and construction management in Beijing and Emerging Objects “experts from afar” with the necessary innovative architectural designs, technological vision and new-maker/builder skill sets. And, third, the actual “house building” involves a mix of unusual building materials and “pierced-textures” treatments, e.g., cement polymers and crystallized, translucent salts. That said, Emerging Objects is advancing the art, science and habitability of 3DP’s plane- and line-breaking habitations. 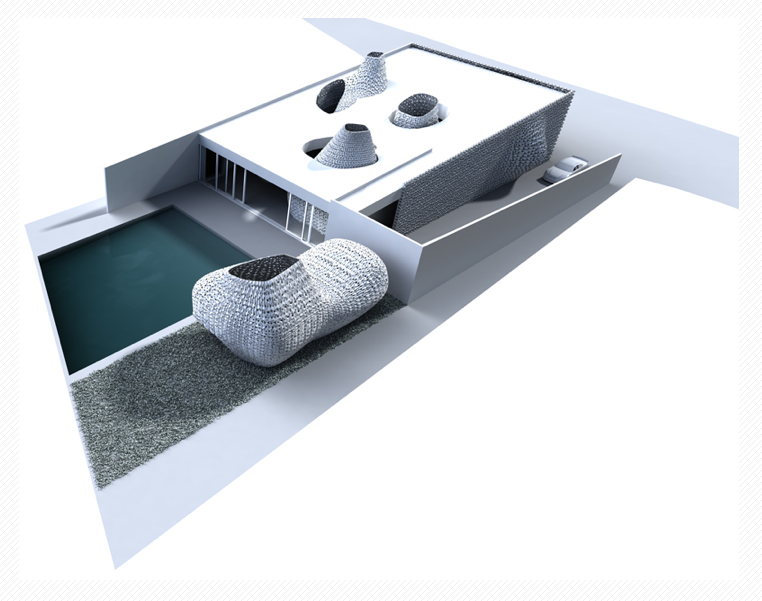 Humans abiding in “3D Printed House 9.0” may be able to get their minds “around” the new arc of living with a new art of habitation.